Dataplugs is one of the top 10 web hosting companies in Hong Kong. We offer different affordable web hosting solutions to meet your unique requirement! All shared web hosting plan features included email accounts, MySQL database, 99.9% uptime, unmetered traffic, 30-day money-back guarantee and 24/7 professional support. A FREE domain name is provided when you subscribe any of our web hosting yearly plan. All web hosting accounts are instantly activated, no hidden fees or setup charges. You can also enjoy free migration service. Start building your website today! We provides up to 100Gbps Local HK, International and Mainland China bandwidth, ensures the optimal access speed is achieved. Moving from another web hosting provider is never a problem. We provides professional free migration service to help you with the website transfer. cPanel is a leading and easy-to-use control panel for your website and server management. 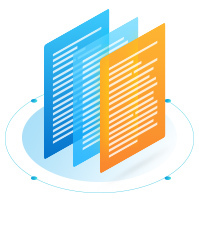 Our web hosting plans come with free cPanel so that you can easily manage and control your website files, emails and database in a fast and convenient way. Built-in file manager, FTP, POP, IMAP and SMTP. You can easily install useful applications or popular software including WordPress, Magento, Drupal or phpBB. Built-in security and virus scanner. Also provide advice about how to resolve any security issues that it finds.